Street artist David Walker paints freehand using only spray paint. Walker has developed a signature style of multi-layering using mark making and scrawled lines. He creates portraits by weaving clashing colours, decaying letterforms and translucent drips resulting in a photo realistic image with graffiti sensibilities. 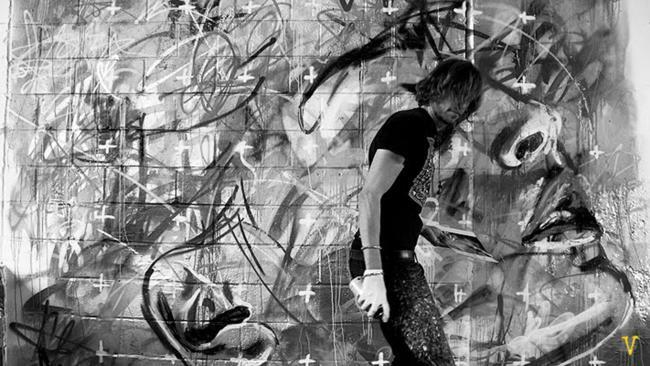 He aims to challenge the preconceptions of fine art and urban art and their confinements.